Chairs! – Pottery, paintings, photography, and more! 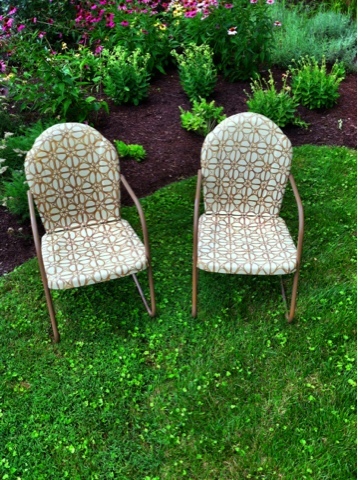 Finally, the chairs that I painted last fall have been sealed and are ready for the yard. This week’s weather is perfect for sitting in the garden with a tall glass of lemonade. Ahhhhh, summer!